A natural cooling, soothing gel, useful for calming skin irritation, caused by fly bites, sunburn or mud fever. 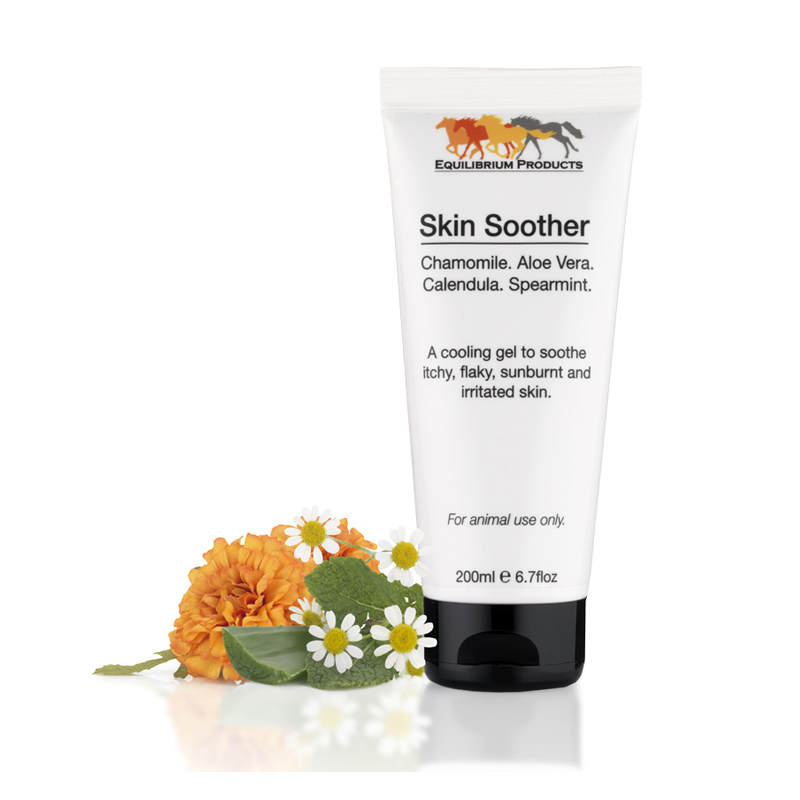 This combination provides a chemical free solution to soothe the skin irritations associated with insect bites (sweet itch), sunburn and mud fever. It is also very good at settling irritation caused by dry, flaky skin. Equilibrium Skin Soother does not contain any prohibited substances. Directions for use: Massage the gel into the roots of the hair at least once daily. We recommend you carry out a patch test before using the Skin Soother liberally. For external use only. Do not apply around the eyes or to open wounds.